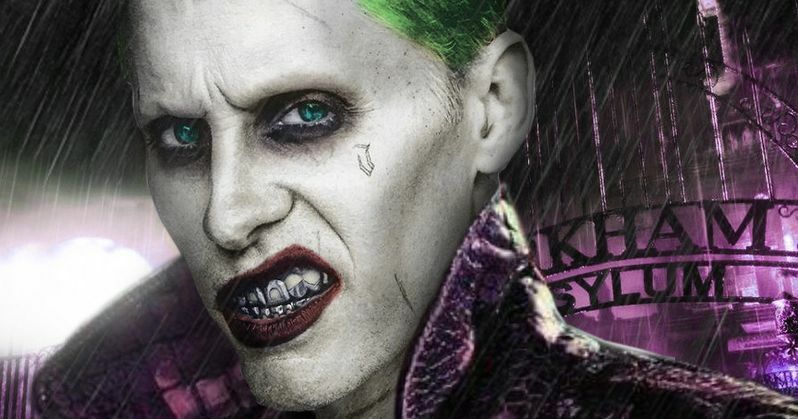 Will Jared Leto return as The Joker in Suicide Squad 2? Who knows. certainly not the actor. After Suicide Squad came out, Jared Leto claimed he wasn't happy with the final results. Especially after he poured his method-acting heart into the madness of playing Joker only to watch most of his scenes hit the cutting room floor. For a while it looked like he might drop out of the DCEU altogether, but it was later confirmed that he'd return in Harley Quinn Vs. the Joker. That may be true, but it doesn't mean Joker will show up in the Suicide Squad sequel. Justice League is the next movie arriving from DC Films and Warner Bros., with Aquaman and Wonder Woman 2 set to follow. Flashpoint and Shazam are sure things, supposedly, but beyond that, no one at DC Films has stepped forward to officially announced any kind of solid release slate. Though upwards of four Joker-centric movies are currently in the works at this time. Suicide Squad 2 is the first movie to arrive, perhaps, with Warner Bros. said to be putting the movie on the fast track. But the same has been said about the Harley Quinn Vs. The Joker movie that is confirmed to bring back Jared Leto as the clown prince of crime along side Margot Robbie as his love interest of sorts. That is followed by Gotham City Sirens, which is still being planned, and a standalone Joker origin movie that stands outside the current DCEU with Martin Scorsese set to produce. It has previously been announced that Gavin O'Connor is directing Suicide Squad 2, but little else is known about the project. It is assumed but never confirmed that Will Smith will reprise his role as Deadshot, with Margot Robbie returning as Harley Quinn. And Jared Leto's Joker is supposed to have some kind of presence in the movie. But perhaps not? As everything seems to be in motion for the time being. Jared Leto has nothing but praise for Gavin O'Connor, but at this time, he has no idea if the pair will get to work together. He says this. "A lot of moving parts, we'll see what happens. I think Gavin is incredibly talented, he seems to be the perfect director for Suicide Squad 2. I think he's a really gifted filmmaker and I really love his work." Jared Leto's Joker was a controversial one amongst fans. Though it's clear he is interested in reprising the character in one of the many Joker movies coming our way soon. Many speculate that Suicide Squad 2 will be the first of these to hit theater screens, debuting in 2019. Warner Bros. is refusing to commit to a release date at this time. Jared Leto spoke with Collider, where he first dropped the fact that he didn't know what his Suicide Squad 2 fate would ultimately become.